This Wednesday is an unusual one. I am sitting on an airplane — or maybe stepping off depending when you read this— on my way to the Blackfeet Native American Reservation in Northern Montana. This trip came up suddenly, and since I am a firm believer in biting off more than one can comfortably chew, I jumped at the chance. I am writing this post from the future, where I am standing beside the eastern slope of the Rocky Mountains, soaking in whatever the Earth has to offer me, and hopefully giving something back to her, to them, to myself and the one who is greater than myself. In this version of me in the future, I’m not concerned about how many less words I will write because of this trip, possibly putting me behind my NaNo goals, possibly sending me into a panicked tailspin when I arrive back home. Back to reality. I am certain this experience will be one of value. Assigning value to this thing allows me to prioritize it above other things. I can afford to take this moment, however brief, to let it take root in me and later — when it is ready or willing — to let it influence the work I produce in a way that will likely surprise me. What I’m Reading: Finished Allegiant. I can’t talk about it. Don’t make me talk about it. Just read The Coldest Girl in Coldtown by Holly Black, and I loved it. I will talk more about it later. 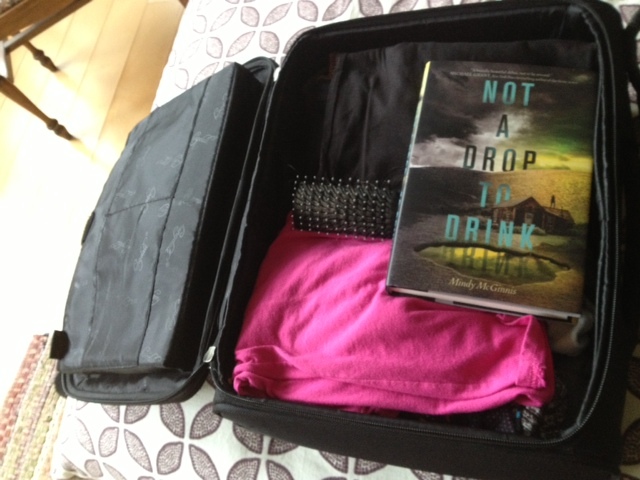 Starting Not a Drop to Drink by Mindy McGinnis. What I’m Writing: My NaNo project is moving along well. My birthday (subsequent food poisoning and high fever) got me a bit off schedule. Making up for it the past couple days. 7570 words and counting! What Inspires Me: This is going to seem very conceited…but me, this blog, and all you fresh knew followers. (Hello, how are you? You sure are lovely.) See the shiny button in the sidebar? My post about NaNoWriMo and fighting November malaise was featured on the WordPress Freshly Pressed Page. I have been blogging with WordPress for over three years, and always wondered how you get Freshly Pressed. I am still not sure I know, but it happened, and I was flattered and humbled by it. At the same time. What Else I’m Up To: I’ve touched on this above. Birthday, NaNo, Travel, and discovering my writing is maybe not totally obscure. My son is cuddly and delicious. Yesterday was library day. Spending time focused on my son keeps me sane in the insane. 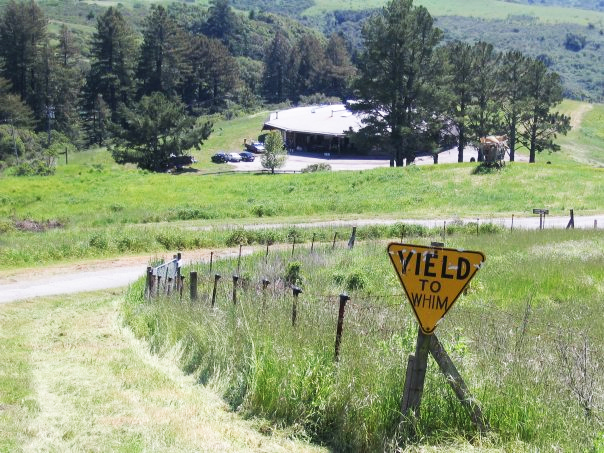 I also made it into Djerassi Artist Program for a five day YA Workshop and Retreat with the incomparable Nova Ren Suma. I am over the moon to have been selected. The moral of this post: Keep Writing. Keep believing in your voice. These are small, but significant victories in my struggle with self-doubt, and my quest to be the hero of my own story. You are the hero of yours. *What’s Up Wednesday is a meme for writers and blogger to keep in touch with their online blog friends. Created by the delightful Jaime Morrow and Erin. L. Funk. If you would care to join, check out the details on Jaime’s blog. Wow, sounds like a lot of fun! Nearly 8000 words is good going – I’ve fallen behind with mine and am trying to catch up! Congratulations on getting into the workshop, too. 🙂 Such an inspiring post – you ARE the hero of your own story! You can do it Emma! I feel behind because so many have over 10,000 words already, but I am trying not to think about it. 🙂 Sending you encouragement and super inspiration and strength. Wow, what a fantastic post, Rebekah. I hope this trip is inspiring and summons the Muse to share Her wisdom. I didn’t know you were sick! Glad you’re feeling better. And I’m jealous of your writing retreat with the inimitable Nova. Enjoy yourself! Oh gosh, it was a bit of a nightmare, but it did pass quickly. Thankful for that. Thankful to get to participate in the retreat too! That sounds amazing! Have a wonderful time!! Thank you. Have a wonderful Wednesday yourself! WOW!!! You have so many awesome things going on! Congrats on the blog recognition and your workshop with Nova Ren Suma! And this upcoming trip – LOVE the letter from future you. SO important to not worry about word counts all the time and be present and in the moment. Good for you for taking some time off! Have a great time! And Happy Birthday! Thank you Allison! I am exhilarated, though that could be all the coffee I’ve had today. BOOOO to getting food poisoning! Glad you’re feeling better. I had never gotten food poisoning before, and it was absolutely as bad as I had heard. Finding inspiration within yourself is inspiring! Keep up your NaNo words! You’re doing awesome. I’ve been wanting to read Coldest Girl for some time, I love Holly Black! Do read it when you get a chance, I thoroughly enjoyed it. I have heard mixed reviews, but for me, it reminded me of my own odd fascination with vampires during my teens. I picked up COLDEST GIRL at the library the other day. I’m not much of a vampire person, but I’ve heard that Holly Black’s writing is incredible, so I’m excited to check this one out. Have a wonderful time in Montana, Rebekah! Good luck with NaNo. And have a great time in Montana too. Even if it does push your word count back a bit, I am a firm believer that living life leads to better writing. Best of luck with NaNo! I don’t want to talk about Allegiant either, haha.